I never write reviews, But I feel this place deserves some credit. 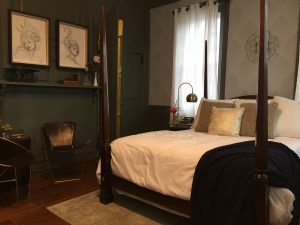 My wife and I stayed at the Brick Hotel for our anniversary and we both loved it. The building is very old and is decorated accordingly. It has alot of charm and the staff was excellent. They brought coffee to our room and made us breakfast which we had outside. I read negative reviews on this hotel and all I can say is that they failed to appreciate the history and charm of an old building. We were not looking for a chain hotel with amenities that you never use. We were looking for a historic building. We are definitely going back. Clean and Good price too. Owner is on site and very nice and welcoming. Room was as described and very cozy. The building is very historic and charming. Right next to everything going on in town. Would definitely stay here again! This 250 year old hotel has lots of charm, slanted floors, high ceilings and narrow staircase. The restaurant was excellent. 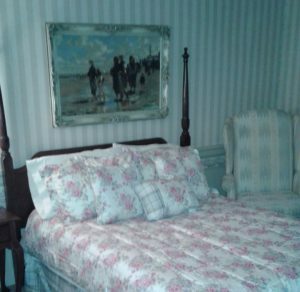 It was a cute place to stay, you felt like you were in George Washington’s day. He may have eaten here. A nice bread and breakfast type hotel above a restaurant in the heart of Newtown. Friendly place. Friendly town. You have to remember it’s 250 years old. 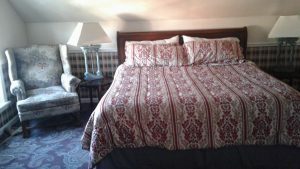 Great historical ambiance and comfortable stay. Like stepping back in history. Very clean and everything was ready for us upon arrival. Hi, Thank you for the wonderful words. Hope to see you again soon. Always striving to be better. Cheers.